The Classique rug features contrasting Natural Black long and short wool sheepskins. 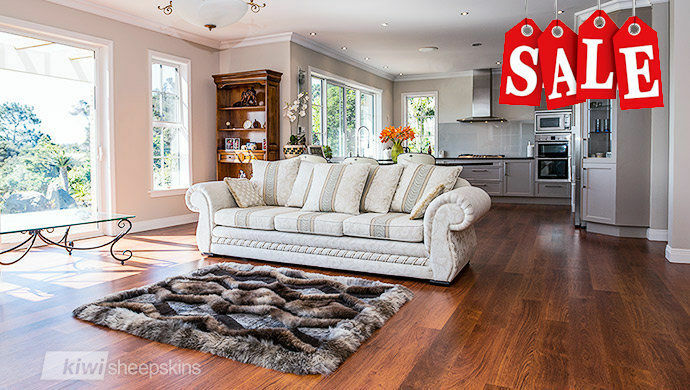 Warm and inviting, large sheepskin rugs instantly create a stunning centerpiece for any room. 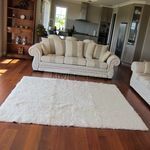 Sourced from New Zealand's lush, green pastures, this natural resource is proudly tanned and handcrafted in New Zealand into stunning sheepskin rugs by long established Classic Sheepskins of Napier, Hawkes Bay. 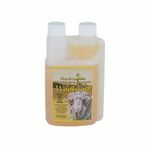 No harsh chemicals like arsenic or formaldehyde are used in the tanning of our sheepskins. Need a large custom rug? No problem, email us the details and we'll provide assistance and advice. With so many beautiful rugs in rectangle and natural pelt shapes, and different wool types to choose from, where do you start? To help, here's a summary of our rug types followed by the actual product entries. 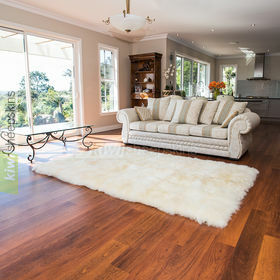 Premium grade long wool New Zealand sheepskin rugs. Available in 8 plain rectangle and 8 border rug sizes. From 4-pelt rectangle to the huge 16 Pelt border rug. Available to order in 7 colors plus in other shapes. 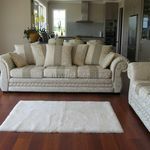 Naturally curly wool sheepskins from specially selected breeds of New Zealand sheep. The particularly large pelts have their wool clipped to a short wool length revealing a beautiful look. Available in 7 rectangle sizes. New Zealand sheepskins whose wool has been shorn to a uniform length of around 20mm (3/4 in.) giving a great contemporary look. In 8 rectangle sizes. Our Long Wool, Curly Wool and Shorn Shearling are also available as natural pelt shaped rugs. 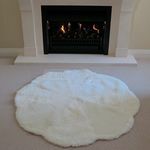 Sizes starting at the Single pelt rug go up to the very large 12-pelt and can be found on our Sheepskin Rugs (natural pelt shaped) page. 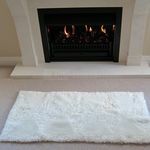 SALE NOW ON - ALL sheepskin rugs reduced! 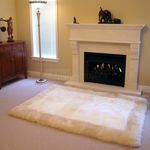 Multi-pelt sheepskin rugs in 8 rectangle sizes from 4 to 16 pelts. Also see our Border Rugs for even larger sizes. 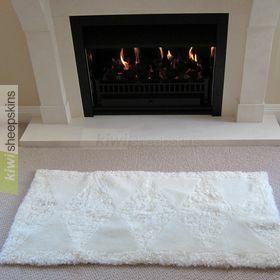 Longwool rectangular sheepskin border rugs available in 8 sizes. Classic Sheepskins, New Zealand's leading independent sheepskin tannery, tan premium lambskin pelts to meet our high standards and expertly match them to produce a spectacular floor rug with a border either of a different color to the center or the same. 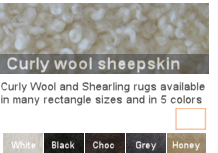 Shorn rectangle sheepskin rugs. New Zealand lambskins with a fine wool type and high number of fibers per square inch are selected so that the shorn fibers remain upright after being clipped. A uniform pile height of approximately 22mm (7/8 in.) 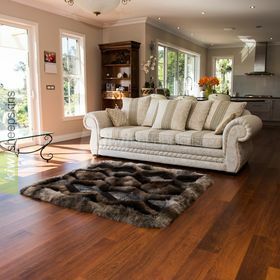 gives a contemporary and completely different look from traditional long wool sheepskin rugs. Stunning masterpiece created using a contrast of Natural Black long and short wool sheepskin of differing sheep breeds. 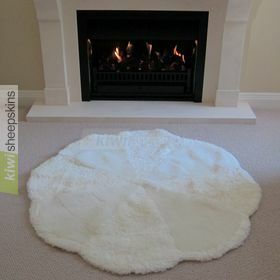 Petal shape sheepskin rug intricately hand crafted from approximately 48 pieces of long wool sheepskins. Fully tanned and manufactured in New Zealand. A rectangular sheepskin hearth rug to complement any fireplace - both traditional and modern. Specially formulated for laundering sheepskin products. Woolskin gently cleans and conditions without the harmful chemicals found in most household detergents. 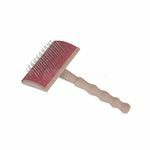 Bowron wire sheepskin care brush with wooden handle.